VIRAC, Catanduanes—Police arrested a 32-year-old resident of Barangay Valencia, Virac, Catanduanes at around 6 a.m. today after members of the Virac police found in her possession 15 sachets of a substance believed to be methamphetamine hydrochloride or shabu. 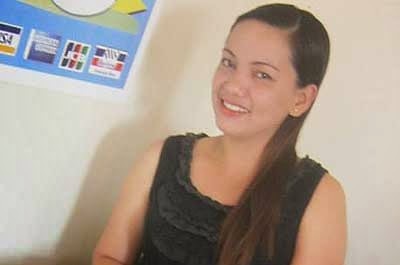 Mary Joy Yvonnie Sarmiento, the suspect, is presently under the custody of the Virac Municipal Police Station. Other items believed to be drug paraphernalia such as rolled pieces of alumimum foil and lighters were also confiscated from Sarmiento. In an interview by BICOL STANDARD, PSI Connie de Leon said that they have just concluded the inventory of the seized items at the provincial crime laboratory. Media reports say that Sarmiento has long been under the watchlist of the police for her alleged involvement in drug use and trade. Her area of operation, according to the police is Virac, Gigmoto, and Baras towns in Catanduanes. She was arrested by virtue of search warrant number 2014-31 issued by Regional Trial Court Judge Lelu P. Contreras. The team was led by PI Crisanto B. Romero.